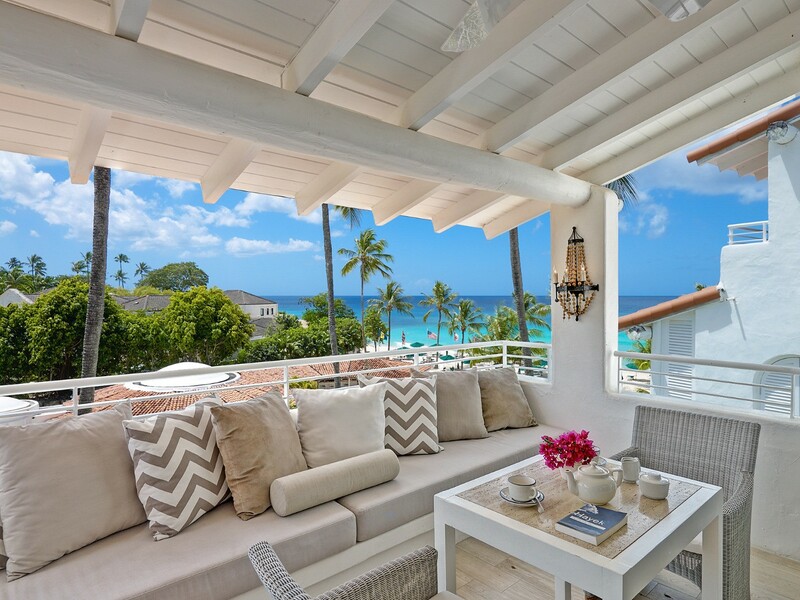 Villa Glitter Bay 304 - Golden Sunset Barbados. Perhaps you want the benefits of a resort but yearn for the space and privacy of a luxury villa? 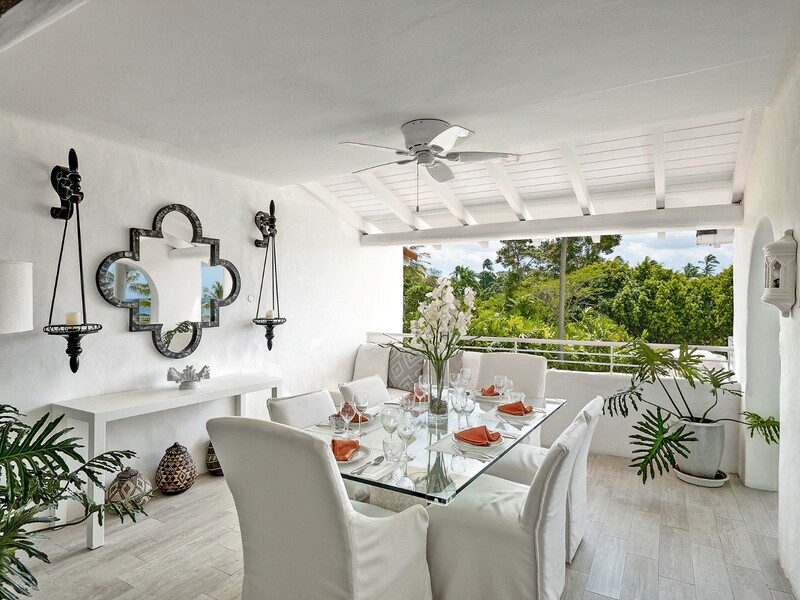 If so, the Villa Glitter Bay 304 - Golden Sunset in Barbados is a fabulous choice. 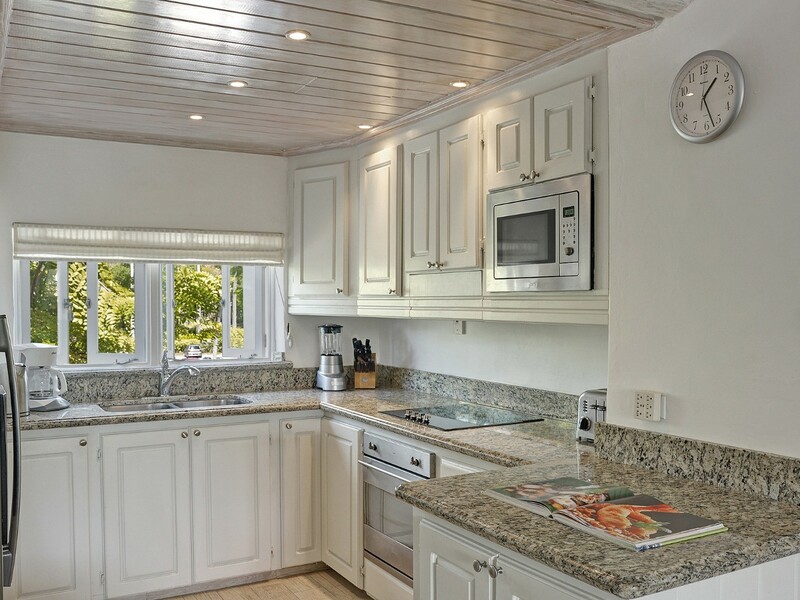 This three-bedroom property is part of the prestigious Glitter Bay Estate in the St. James area of the island. 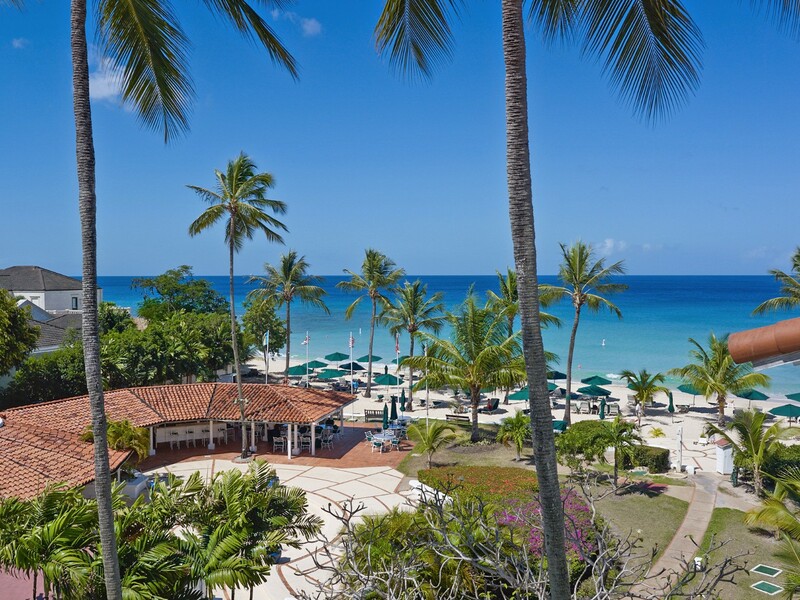 With an impressive array of amenities and facilities on the premises, you may choose this as your sole destination on the island. 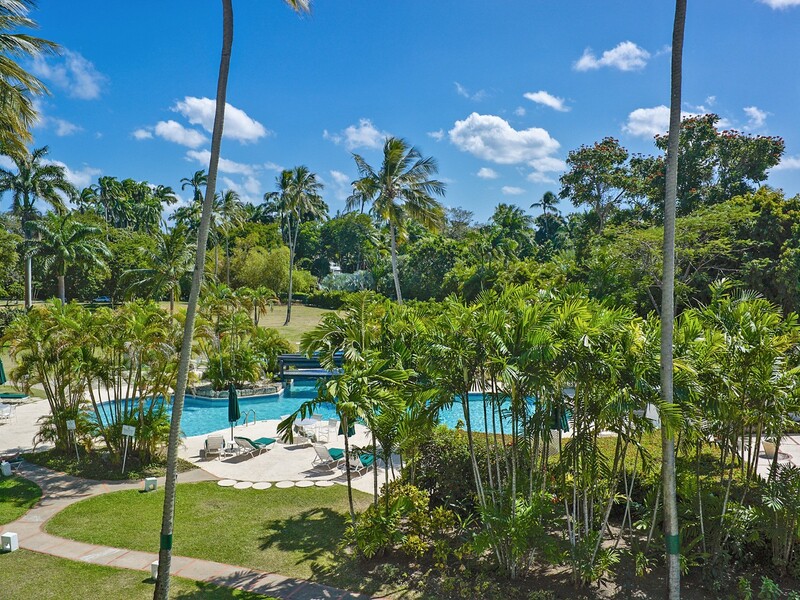 After all, there is the lagoon style pool framed by a dazzling array of mature palms and gardens. The pool features various sun decks, but there is also the beachfront with its beach bar, too. 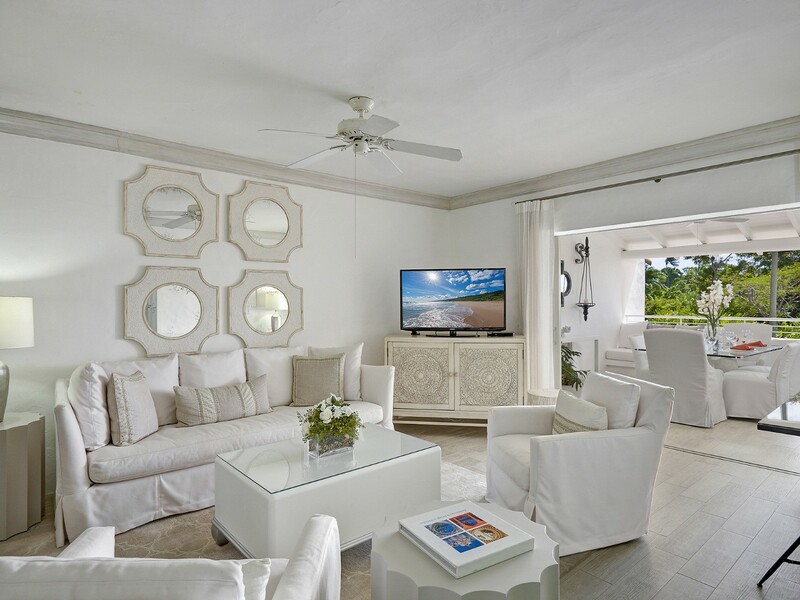 When you are done soaking up the sun or enjoying the sea, you can retreat to the amazing comfort of your spacious and beautifully designed villa. Spread out over two floors, it offers you outdoor living on both levels. The main floor features an enormous covered terrace with al fresco dining and lounging. It is just outside of the great room, and with its white palette and breezy style it is a wonderfully inspiring but peaceful space. It opens into the formal dining room, and this is just steps from the comprehensively furnished, gourmet kitchen. 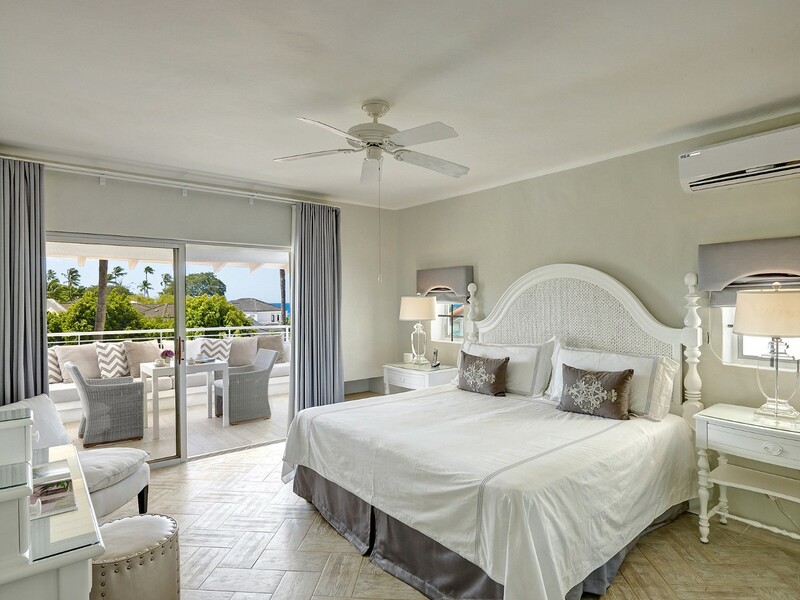 The three bedrooms are decorated and designed in the same airy and relaxing manner. They are divided between main and upper floors. 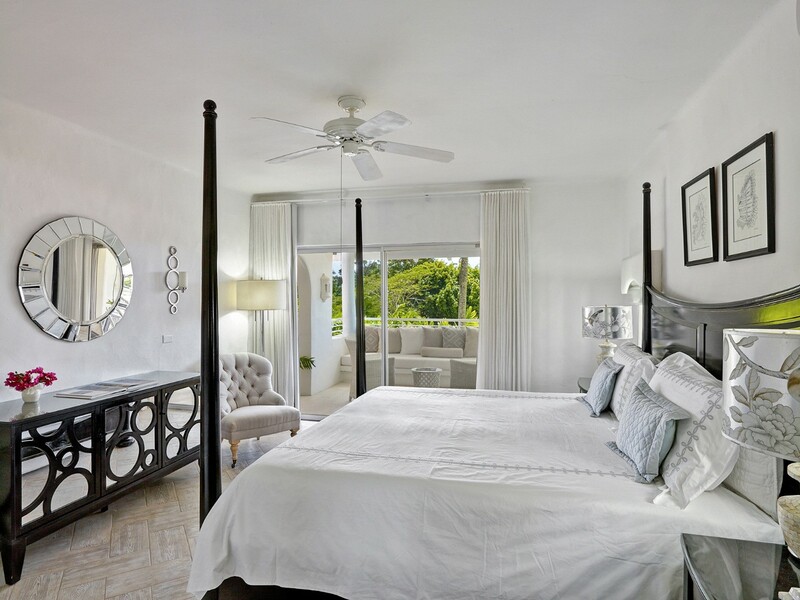 The master suite is on the first floor and offers a king bed and direct terrace access. 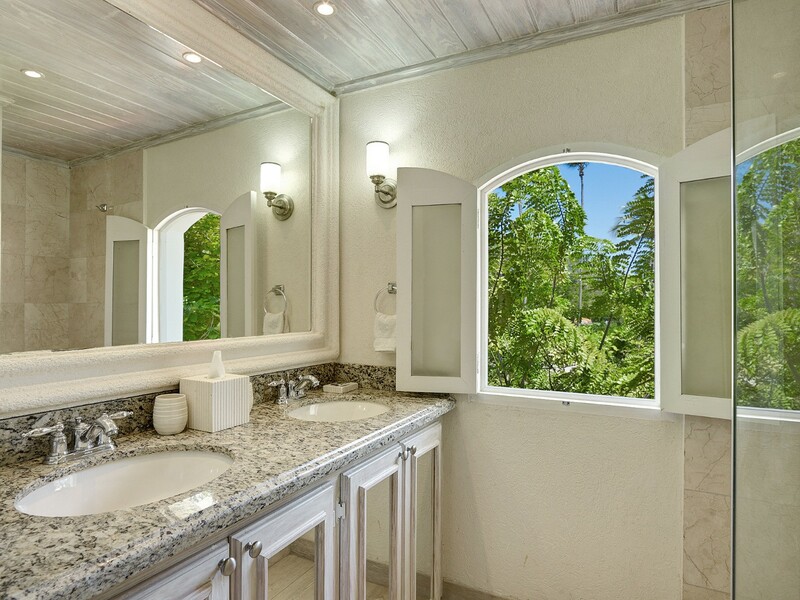 On the next floor are two additional king suites with private baths and scenic terraces, too. Don't settle for one or the other. 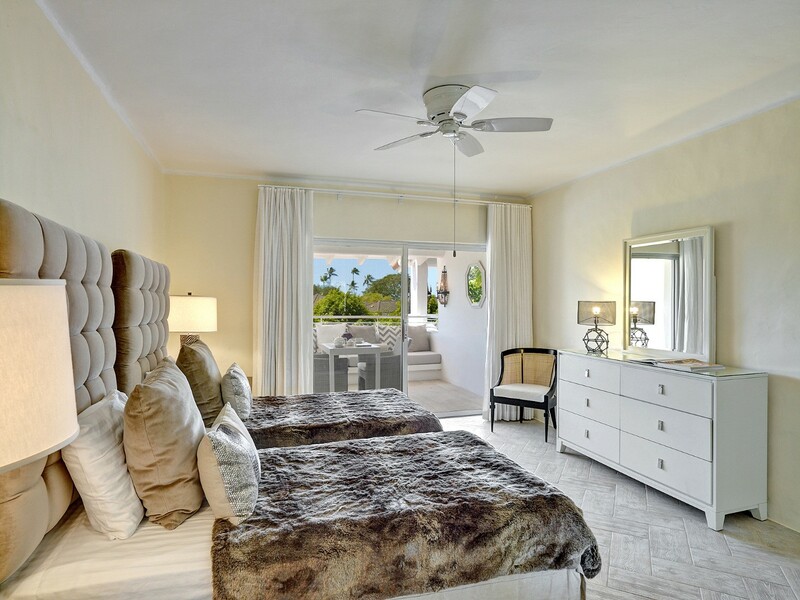 If you want both a private villa and resort-like amenities, the Villa Glitter Bay 304 - Golden Sunset is a perfect choice for your family or group of friends.